Every month the Sea Salt Marketing editorial team recommend our clients create blogs to educate and target would-be customers. These blogs should target users at the very start of their customer-journey as well as users who are close to signing on the dotted line. 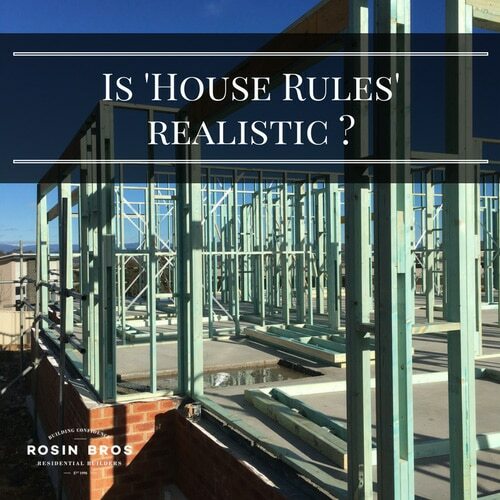 One of our builders recently had huge success targeting customers towards the start of their journey, targeting viewers of the popular TV show “House Rules”. In the first 5 weeks after posting, organic views increased by 81%. If you have a small business and a small website the key for SEO is to find low hanging fruit and pick it! In a broad sense, this means that rather than trying to rank for “Best Builder in Australia” or even “Best Builder in New South Wales” it’s going to be easier to rank for local areas like “Best Builder Wollongong”. “Best Builder Wollongong” isn’t going to have as many people searching for it, but it’s going to be easier to get your name to the top of the list, and by targeting an area you definitely cover you won’t spend time responding to customers outside areas you service. The below graph shows how many people are searching for The Block (Blue) compared to House Rules (Red). While there are many more people searching for My House Rules, it’s also less competitive so it’s easier to rank higher, faster. The second thing we did which helped this company rank well compared to bigger websites was our choice of headline. By using the exact phrases that people are typing into Google it made it easier to rank higher than other headlines that were similar or alluded to the phrase. Once you’ve ranked well for a popular term, now what? Sea Salt Marketing’s clients know that we usually target potential customers that are further along their purchasing journey – whereas this particular article looked at people who are still maybe a few years off making their final decision. So why do it? Include a pop up newsletter box to capture their details and continue marketing to them. Make related blog posts easy to find. If they’re interested in this, what else are they interested. By targeting users higher up the funnel we can establish authority of the brand and draw them in with more great content so that when it is time to make that final decision, your brand name is front of mind.